When I am not traveling and shooting weddings, I work as a forest ecologist for a non-profit called the Forest Stewards Guild. 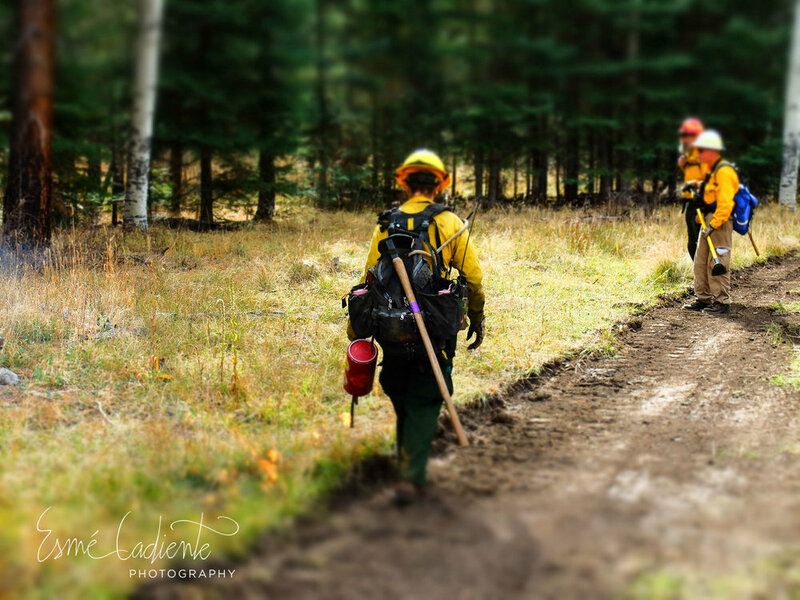 Working for them, I recently had the opportunity to work alongside a group of wildland firefighters on a collaborative controlled broadcast burn in Northern New Mexico and Southern Colorado. 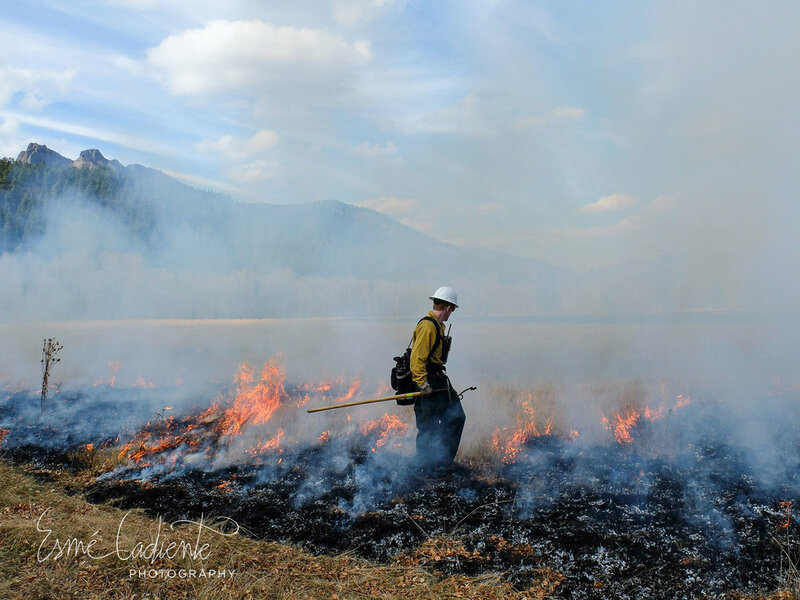 The experience was very eye opening for me, especially because I have been working in the field of forest health, watershed conservation and forest ecology for the last nine years but I have never been on a wildfire or controlled burn until now. 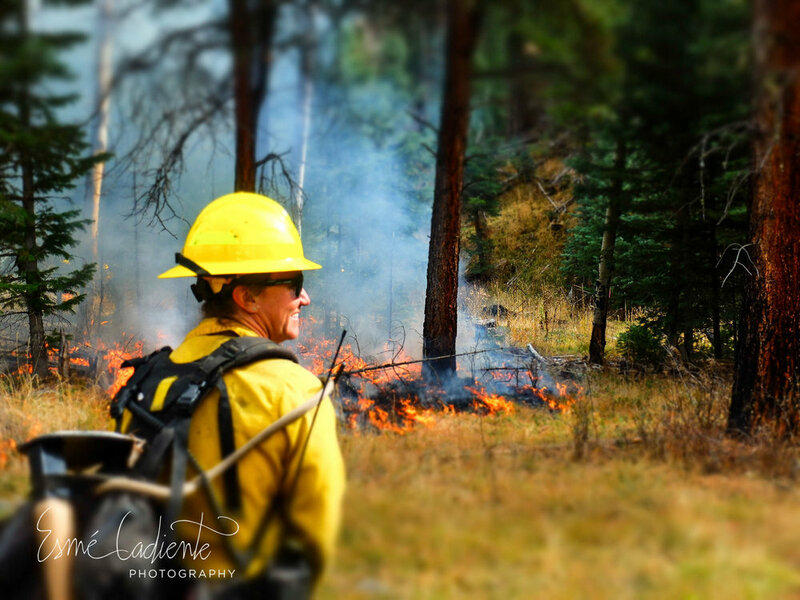 As a forest ecologist this experience taught me a lot about fire behavior and how fire moves across a landscape. 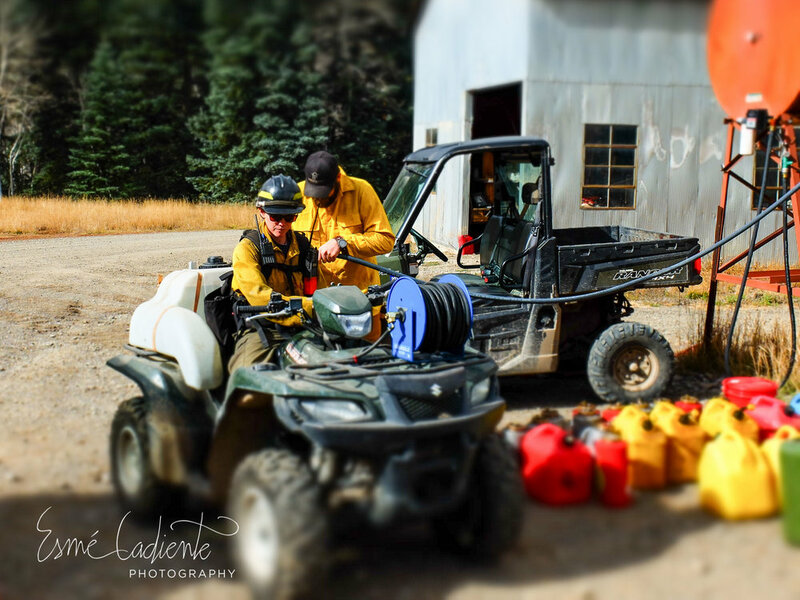 As a photographer, it was an amazing experience to be on the fireline equipped with a drip torch, hand tool and a camera. This is what I saw. In order to fully understand the logic behind controlled burns or prescribed fire, I think it is important to first understand the origin of fire. Fire and forests are inextricably linked, the origins of which evolved together throughout the history of the planet. Without terrestrial photosynthetic plants delivering oxygen to the atmosphere and fuels to the landscape, fire could not exist. Thus, as plants evolved, the presence of fire was coaxed into existence from a recipe of fuel, oxygen and the final ingredient, a heat source—delivered by way of lightening, volcanoes, and later, human beings. As fire took its place on the landscape, plants adapted to fire in a myriad of ways including the development of the thick tree bark we see in our forests, timing of germination and sprouting that is stimulated by fire, and seed release (serotiny) that is triggered by fire or smoke. We also see grass recruitment and understory plants that rely on a post-fire landscape. Wildlife similarly began to develop life histories that relied on the presence of wildfire on the landscape, and many organisms came to rely on habitat that is created after a wildfire. 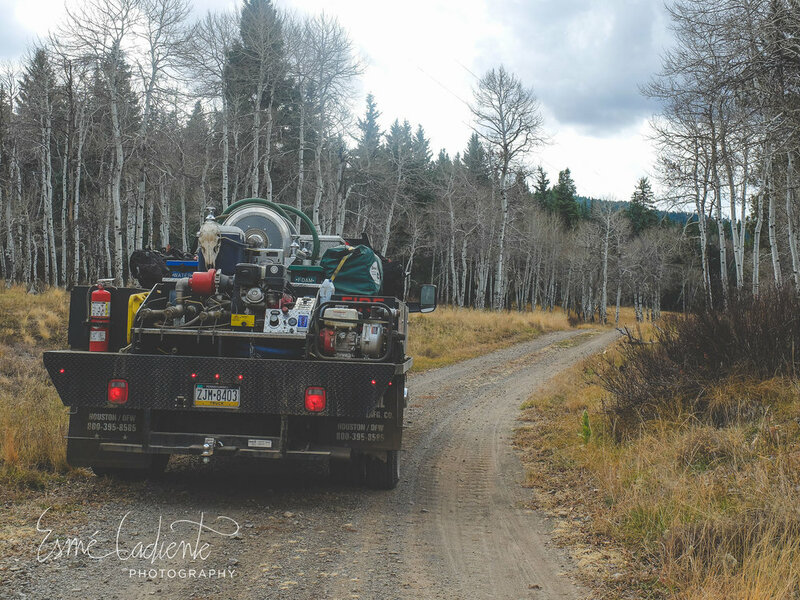 Everything said, fire is an essential ingredient in maintaining an ecological balance and forest health in fire adapted forests. 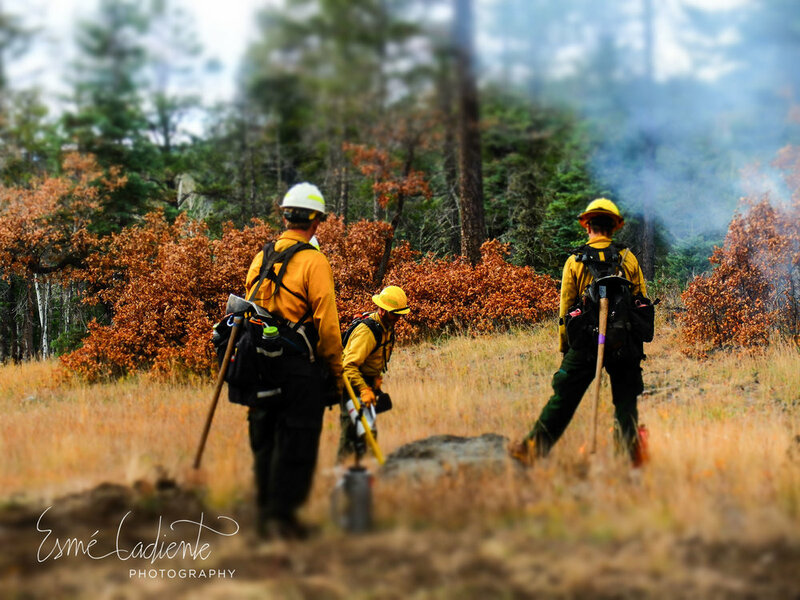 After spending ten days on the fire line, I truly came to understand what prescribed fire is and I realized in actuality the benefits of fire in the forest. Participating in putting fire back into a forest that has been deprived of fire for the last several decades helped to ground in my understanding that fire is a key ecosystem process, and that a forest that has adapted to thrive alongside fire needs fire to be healthy. 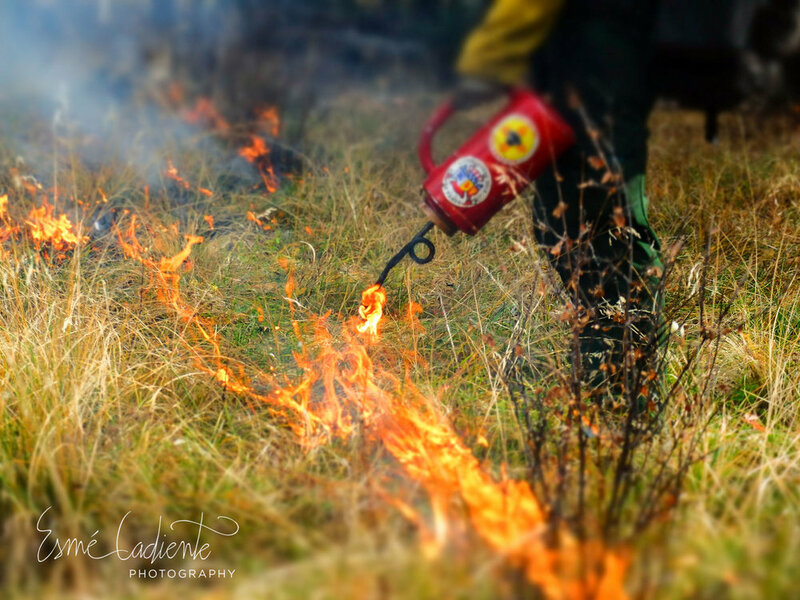 I think one of the greatest misconceptions about prescribed burning is that the fire will burn intensely and devastate the forest and wildlife. I myself have even fallen privy to this misconception, but upon seeing firsthand the techniques used to implement fire, the science behind the decisions, and the careful, deliberate ways that fire was intentionally and strategically put in the forest, I came to understand that there are many ways fire can take to a landscape. 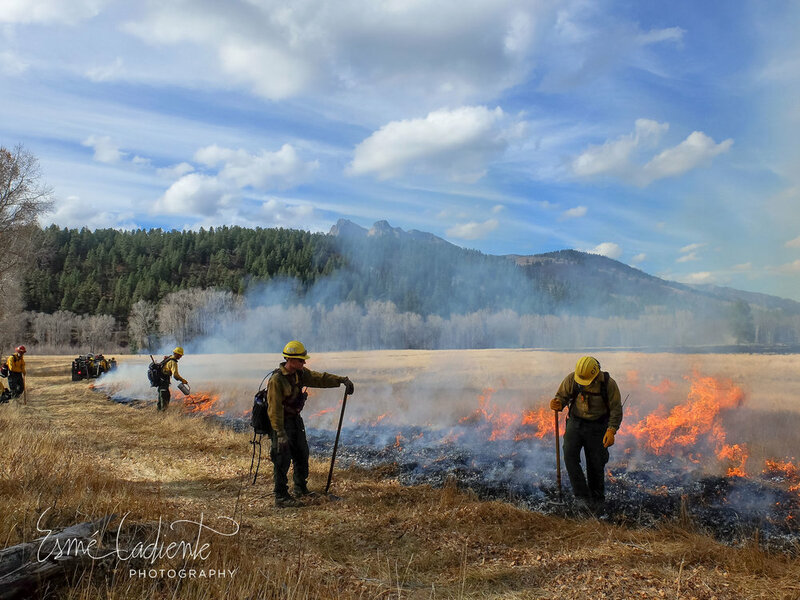 Prescribed fire is not a devastatingly destructive force, it is an intentional application of a forest management tool that under the right circumstances can restore forests, promote ecological health and protect communities from the threat of a catastrophic wildfire. At one point on the burn I was placed on a holding crew to protect an archaeological site. As another crew member and I scratched a hand line to prevent fire from entering the site, we were jarred from our work by a herd of elk running past. They were running out of the unit that had fire on the ground and into another part of the forest. Watching them go, I realized that the elk would be back soon. 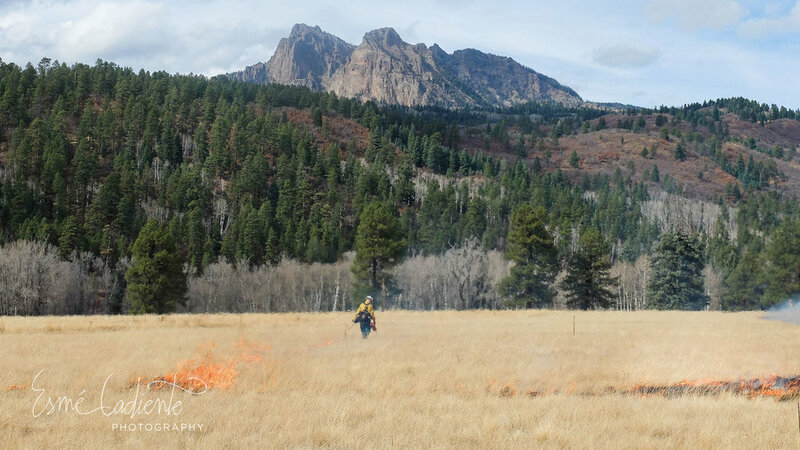 Fire stimulates soils and allows for grass recruitment post fire, meaning that elk and deer will experience excellent browse for years after a burn. Many hunters know this and will stake out in a post-burned forest waiting for the ungulates to return and their opportunity to fill the freezer. In that moment, as the elk thundered by, I felt a little closer to understanding the balance of life and the intertwining of biota, humans and the forces of nature.